It’s no exaggeration to say the tropics drive our planet’s carbon cycle – the constant transfer of carbon back and forth, on a global scale, between living things and the environment. 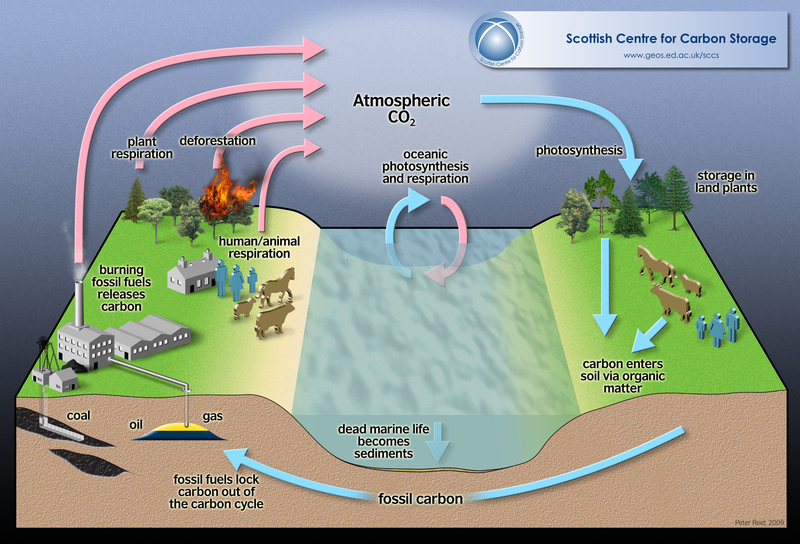 Understanding the dynamics of the carbon cycle is increasingly important because more carbon in the atmosphere increases the warming greenhouse effect. Rainforests are known for their unparalleled biodiversity, but they also pull more CO2 from the atmosphere than any other terrestrial ecosystem, helping to keep our climate in the stable state we’ve enjoyed for the past 10,000 years. But overlooked beneath the lush green canopies lies a big piece of the carbon puzzle: the soil. Carbon cycles through living things and the environment. 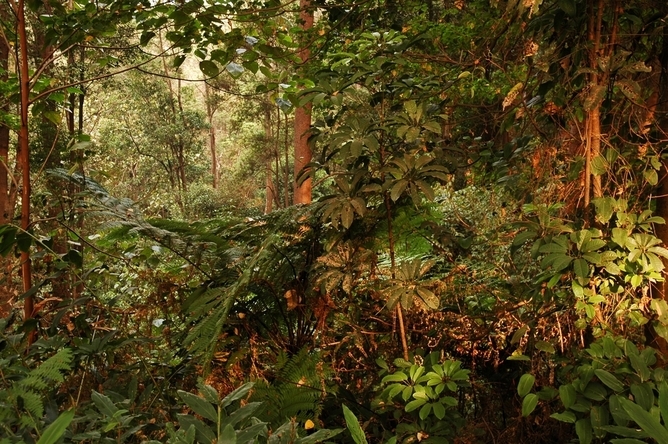 Tropical forest soils contain more carbon than all living vegetation on Earth. And we’d like to keep it that way. Not only does organic matter — a mixture of decomposed plant, animal and microbial molecules — build soil fertility, it locks up carbon that might otherwise end up in our atmosphere. Keeping soil carbon in the ground, particularly in the tropics, is critically important to maintaining Earth’s climatic stability. In some parts of the soil, notably the deep soil, carbon seems to be doing a pretty good job staying put on its own. Here, you’re apt to find soil organic matter that’s been sitting around for hundreds to thousands of years. It’s appealing, then, to call these subsoils a long-term carbon sink. But a critical question remains with regard to how locked away that soil carbon really is: can microorganisms — the biological engine that drives the soil carbon cycle — actually decompose this ancient organic matter? If the soil microbes can decompose some of it, metabolizing it for energy, some of the previously sequestered carbon would eventually wind up in the atmosphere as carbon dioxide. And that could be a big problem for the climate. 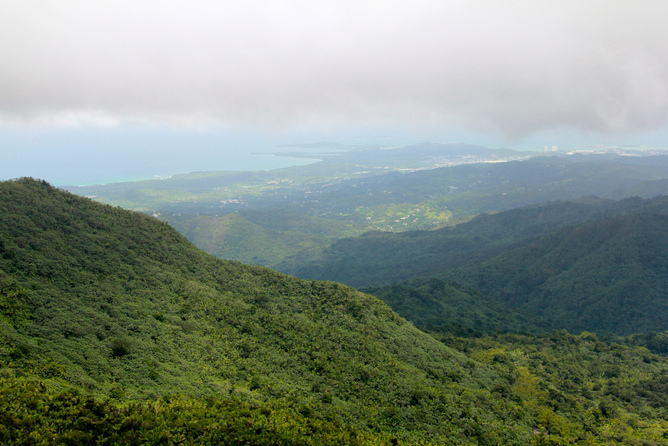 The view above the canopy in Luquillo. To answer that question, I traveled to the Luquillo Critical Zone Observatory, an environmental “laboratory” located in the world’s most extensively studied tropical forest, in northeast Puerto Rico. 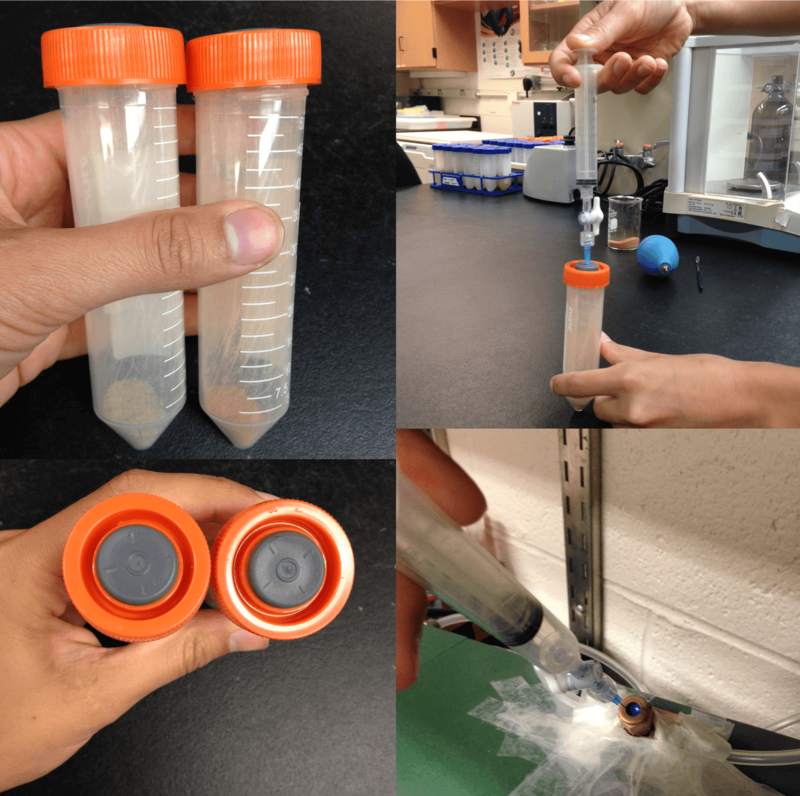 Here, I investigated how microbial metabolism changes as we dig deeper. Beneath organic-rich surface soils, the subsoil contains small amounts of very old – and potentially very stable – carbon that’s been there for thousands of years. What sorts of microbes live down there? What controls their activity? And if tropical subsoils are biologically active, is subsoil carbon really as stable as we think? Collecting a soil core in the clay-rich tropics. First, my colleagues and I spent weeks traipsing up and down the mountains, identifying sites with distinct geologies and plant communities at different elevations. Within each site, we dug holes a meter and a half deep, collecting samples from discrete depth layers for chemical and microbiological analysis back in the lab. Everywhere we dug, microbial activity, soil carbon and nutrients dwindled rapidly with depth. This we expected: Over large areas, subsoils hold vast pools of carbon, but actual carbon concentrations dwindle rapidly away from the surface. And as their food supply diminishes, so does the amount of microbes. Performing a respiration experiment to assess the metabolic potential of soils. What surprised us was that even in the deepest, most carbon-starved soils, microbial activity didn’t disappear. 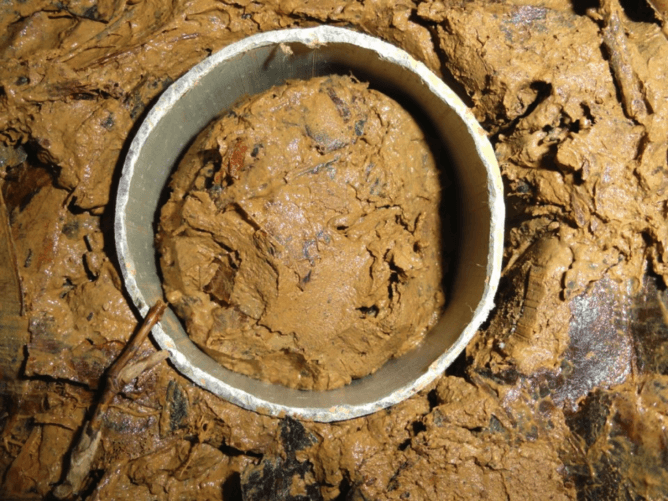 Rather, subsoil microbes were ready and waiting to cycle soil carbon and nutrients. Exoenzymes — proteins that break down large, complex molecules into smaller ones that can pass through cell membranes — remained active. On a per-microbe basis, soil respiration – the collective CO2 “exhale” of microbial metabolism – was equal or greater in subsoils than at the surface. In total numbers, the subsoil contained less carbon and fewer microbes. But on a per-capita basis, subsoil microbes were capable of cycling carbon and nutrients, at rates equal — or even exceeding — their surface counterparts. How could this be? In resource-poor subsoils, any metabolic process comes at a steep energetic cost. In such environments, microbes often go dormant and wait for fairer weather. So what’s causing microbes to maintain their metabolic machinery here? For one, deep soil microbes may have adapted to exploit resource-poor environments. High per-capita microbial activity in subsoils could also be a stress response. Much like car engines, biological systems perform less efficiently as conditions get worse. Microbes that are stressed due to low energy availability may, paradoxically, respire more carbon as CO2 for each molecule they actually use. Or they may produce more enzymes to harvest increasingly scarce resources. 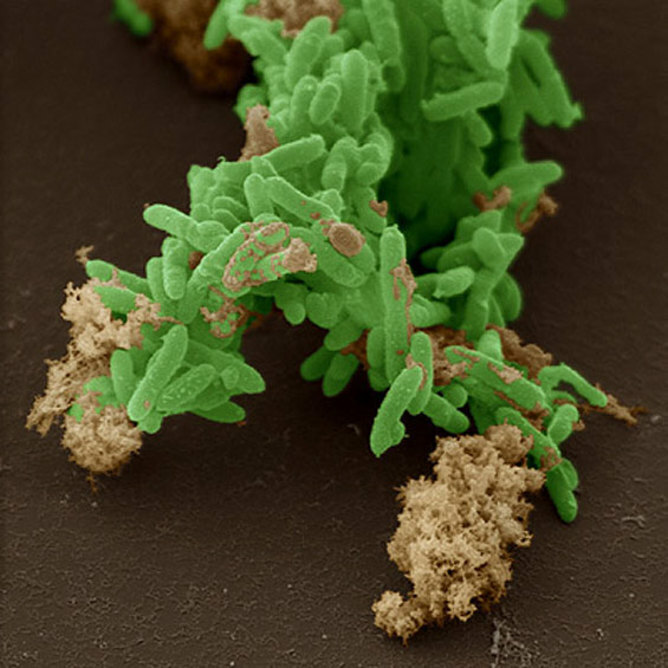 Iron-breathing microbes, Geobacter, are a major component of tropical soils. Soil microbes are critical drivers of Earth’s carbon cycle. But in deep tropical soils, we still don’t know what controls them. My research shows how tropical subsoil carbon, typically considered stable, may in fact be biologically vulnerable. Small changes in microbial carbon metabolism could have a huge effect, integrated over all the carbon present in tropical subsoils. Releasing as CO2 all the carbon currently locked up in these subsoils would have devastating effects on the planet’s climate. What sorts of environmental changes might amp up subsoil metabolism? Climate-induced soil warming, for one, which makes it easier for enzymatic reactions to occur. A recent modeling study shows how soil carbon losses over the 21st century vary dramatically depending on the microbial response to temperature. Other climate change feedbacks, including increased root carbon production under elevated atmospheric CO2, could also stimulate soil biota. Land use change is another persistent threat in the tropics. Conversion of forests to pasture can expose subsoils that haven’t seen the light of day in hundreds or thousands of years. Will ancient, “stable” carbon become susceptible to loss? These are the questions that need to be answered. Compared with temperate and boreal regions, tropical forests remain a poorly studied microbial ecosystem. Field experiments that simulate anthropogenic drivers — climate change, deforestation — are virtually nonexistent. Until we can predict how tropical microbes will respond to global climate change, we can only guess at how the vast carbon pools beneath our planet’s most productive forests will shift over the 21st century and beyond.